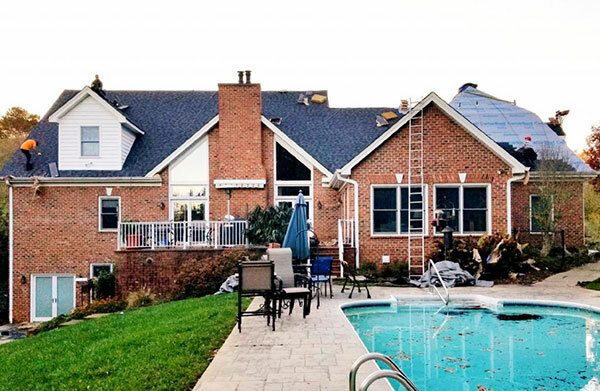 Whether your property needs its roof repaired or a full roof replacement, Atlas Construction can help. We are a certified CertainTeed ShingleMaster™ Installer, which means our team of roofing contractors is properly licensed, adequately insured and committed to ongoing professional training to ensure quality installation. We offer CertainTeed’s full line of products, which includes more than 300 roofing options to choose from. We can also install roofing materials from GAF and Owens Corning. The most popular asphalt shingle today is the Architectural Shingle. Architectural Shingles are a step up from the Three-Tab Shingle. They are thicker with added dimension from multiple layers. Atlas Construction is a certified CertainTeed ShingleMaster Installer. ShingleMaster certification guarantees that we are using the Integrity Roofing System®. The Integrity Roofing System includes waterproof underlayment, starter shingles, roof ventilation and shingles made specific for hip and ridge caps. The architectural shingle currently has a lifetime warranty that is non-prorated for 20 years, or a 50-year, non-prorated option. The older traditional asphalt shingle is a Three-Tab Shingle. Three-tab shingles are flat and smooth and have a warranty of 10 to 25 years. These asphalt shingles come in a wide variety of colors with easy installation. Multi-Rib, which consists of a 29-gauge metal with Kynar paint applied at the factory. Standing Seam, traditionally seen on commercial buildings. Standing Seam roofs are a 26-gauge metal with Kynar paint applied at the factory. Factory-applied paint has a 40-year warranty against fading. Letting Atlas Construction handle your roof replacement or roof repair will provide you with peace of mind because you’ll have a certified ShingleMaster working on your property and using the best materials in the industry. Plus, you’re guaranteed that our contractors will use the manufacturer-preferred method of installation, which prevents mishandling of the delivery and the installation of the products. This part of the process is critical, since it helps prevent voiding of the warranty. When it’s time for your roof to be replaced or repaired, Atlas Construction is here to help. For your free, no-obligation consultation, call (828) 544-1110 or reach us through our online contact form.